It's time to Feast Your Eyes. Come see Myla at a bookstore near you. Read Marion Winik’s rave review in Newsday. 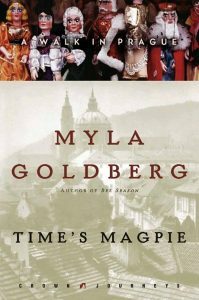 Listen to Myla’s interview with Diane Rehm. 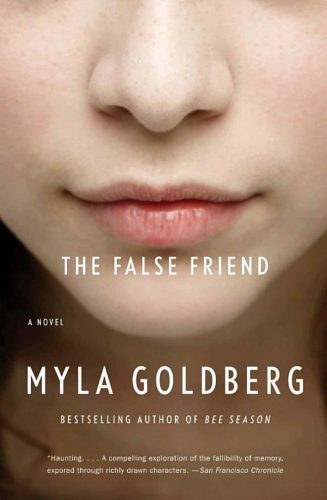 Author, activist and New York Times columnist, Jenny Boylan, interviews Myla about The False Friend. Click here for an adult book group guide. Click here for a teen book group guide. Listen to the All Things Considered interview with Michele Norris. 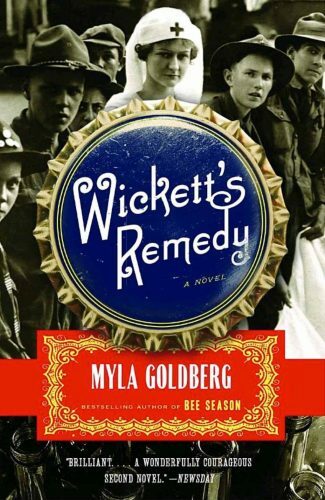 Listen to the Bookworm interview with Michael Silverblatt. Click here for a book group guide. Writing is a lonely business, but it doesn’t have to be…at least, not all the time. Having people to bounce ideas off of and get writing feedback is an essential aspect of writing life. That’s where the NYC workshops come in. 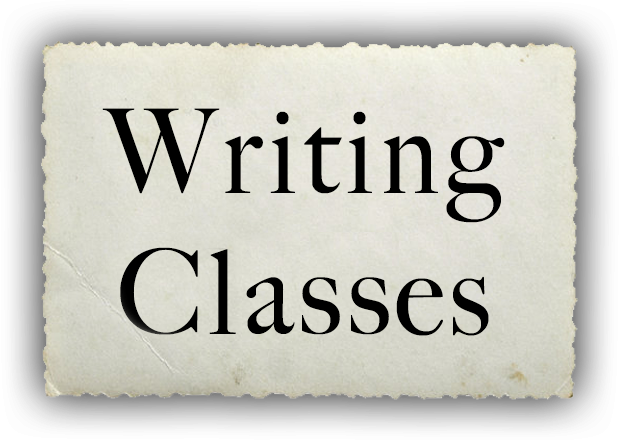 I lead private writing workshops throughout the year in the NYC area. 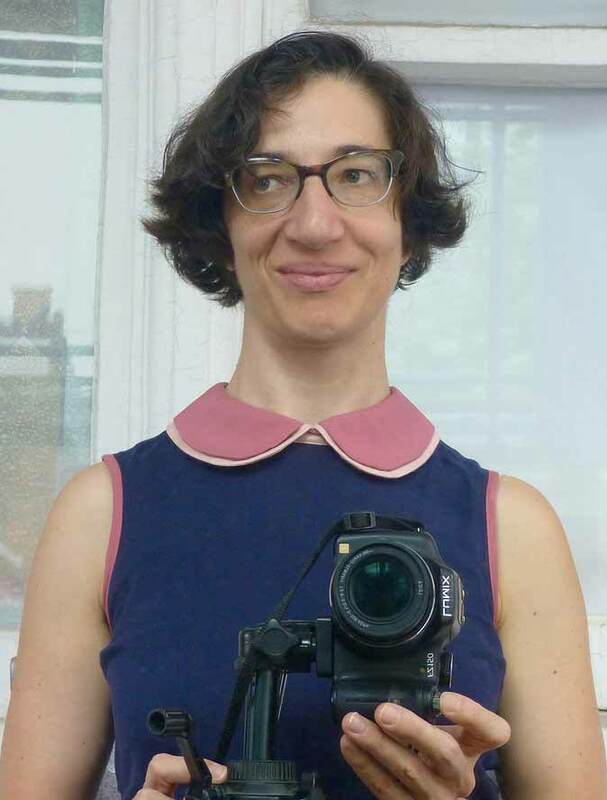 Designed for writers looking to receive constructive and specific feedback within a supportive and engaged community of their peers, participants range in age from twenty-somethings to sixty-somethings, and represent various experience writing levels and interests, from flash fiction to the novel. 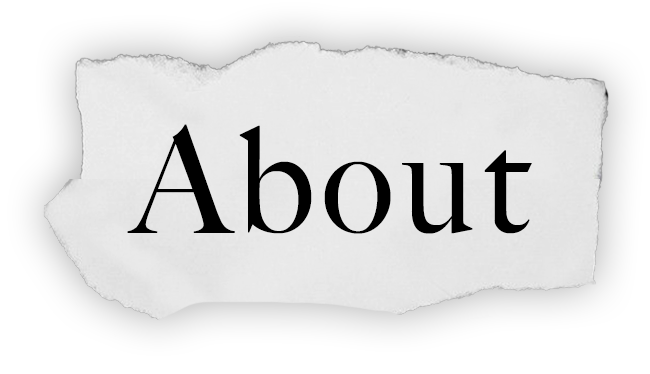 In addition to presenting work, we discuss published stories from the perspective of craft, a model based on the workshops I’ve led over 10 years of teaching at the MFA programs of Brooklyn College, NYU, and Sarah Lawrence. "Hi Myla: I just wanted to share some good news with you. This morning, Michigan Quarterly Review accepted the story I was talking about last night (the one I couldn't get published)... I have you to thank. I took all of your notes with me to the Vermont Studio Center last summer and worked on the story around the clock. So, thank you!" "You’re such a great editor/mentor, really the best I’ve ever had in over 30 years of publishing books. I’m so grateful I found you." Do You Live on Planet Earth? I don’t know about you, but every time I find myself staring at a blank page, all that whiteness looks so vast and impenetrable. That’s why I came up with Creative Bootcamp. Whether you’re a seasoned writer, new to writing, or somewhere in between, Creative Bootcamp will feed your brain new foods, pull your imagination in new directions, and give you the chance to explore the creative interplay between internal and external—which is to say the essential dialogue between everything going on inside your head and everything going on outside of it—when story ideas are formed. Creative Bootcamp is an online course filled with writing exercises, craft-centered observations and conversations that are equally good for helping you start something new or getting you out of a creative rut. Curious? Join the Bootcamp mailing list to find out more! 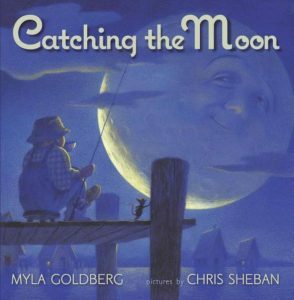 Whether it’s a craft talk at a high school or college campus, a glimpse into the writing life at a library book club, or a behind-the-book talk at a museum, convention, or JCC, Myla uses humor, energy, and wit to engage audiences of all ages and sizes. 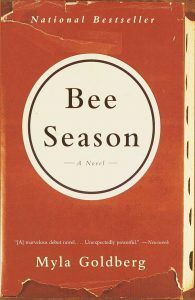 Educators take note: Bee Season has been named an Outstanding Book for the College Bound by the American Library Association and has been used for city-wide book discussions and college courses as well as required reading for incoming college freshmen. For speaking info, email speaking@mylagoldberg.com. "There is one word going around the office today: perfect. Last night’s master class with Myla was everything we could have imagined and more. Myla: you were so generous with your insights and wit. There was an electricity in the room: the audience was hanging on your every word. I know everyone walked away inspired and wiser." 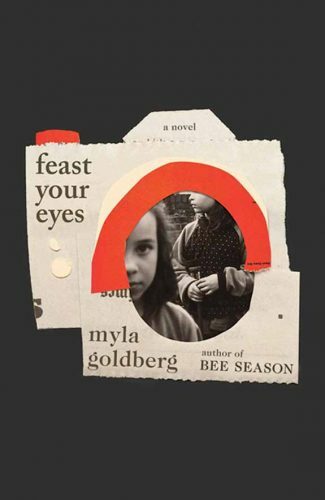 Myla Goldberg is a bestselling novelist, winner of the Borders New Voices Prize, a finalist for the Hemingway Foundation/PEN award, the NYPL Young Lions award, and the Barnes & Noble Discover award, and recipient of a Sustainable Arts Foundation grant. 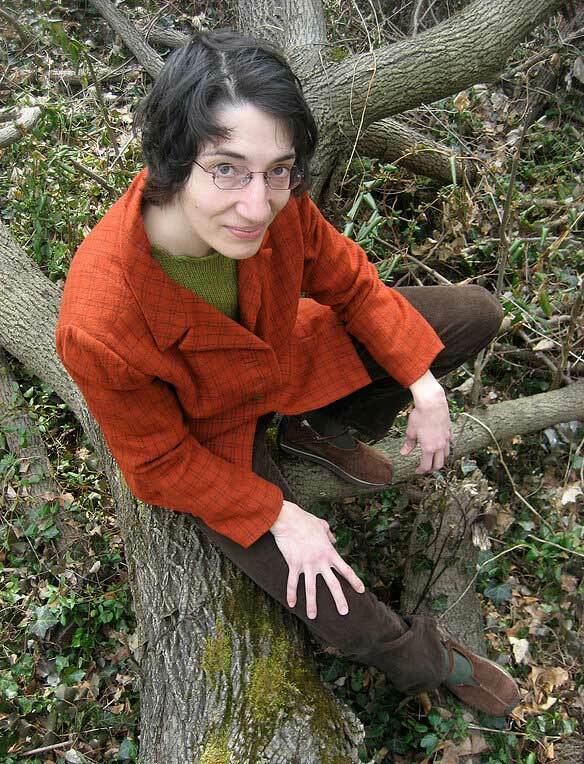 She writes and teaches in Brooklyn, where she lives with her husband Jason Little and their two daughters. An homage to Myla’s home state of Maryland, followed by her performance of its state song, with musical accompaniment by members of The Decemberists, recorded live during Wesley’s Stace’s Cabinet of Wonders. 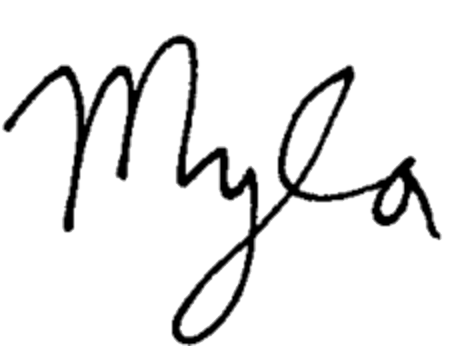 Write to Myla at P.O. Box 180387, Brooklyn, NY 11218, or send her an email. Be the first to learn about book news and events in your area.